JAPAN: Local developer Hibiki Wind Energy has signed a memorandum of understanding (MoU) with the Kitakyushu City authorities to use port facilities for an offshore wind project. Hibiki Wind Energy has proposed a 220MW project just outside Kitakyushu port, on the northern coast of Japan's southern Kyushu Island. Between 44 and 55 turbines, at roughly 4MW each, will be installed, with construction due to start in April 2022. The MoU allows Hibiki Wind Energy, a subsidiary of utility Kyushu Electric Power to occupy the port area for a period of 20 years, with a possible ten-year extension. According to Yoshinori Ueda of the Japanese Wind Power Association, this is also the first case of a major Japanese utility engaging in a large commercial offshore wind power project. 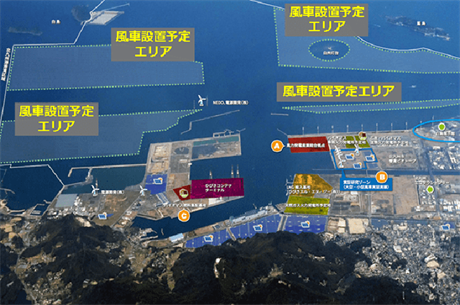 As a result of the project, the Kitakyushu City government intends to promote the port as a base for offshore wind power in East Asia. It hopes offshore wind players, such as foundation manufacturers, will establish facilities in the area. The agreement is the first by a local authority since an amendment to the Port and Harbour Act in May 2016.